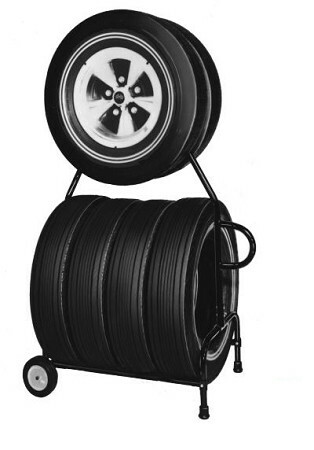 - Rolls easily on heavy-duty 6" rubber-tired wheels. - Upper tires securely retained, won't dislodge when moving. - Tubular all-steel construction, finished in black.